The differential pressure indicator is a robust and compact device indicating the contamination level of the filter elements. The differential pressure between filter inlet and filter outlet is the measurable indicator for the contamination degree of the filter element. When the preset maximum value of differential pressure is reached, the filter needs to be cleaned. The colour of the disc segments visible in the two displays indicates the contamination degree: The red segment rises proportionally. When the segment is completely red, the differential pressure limit is reached. Inside the device is a plunger which is held in zero position by a spring. As differential pressure rises with increasing contamination, the plunger is displaced against the resistance of the spring. By magnetic transmission the display disc turns according to the movement of the plunger and shows more and more red segments. The setting of the requested differential pressure id effected by factory installation of a corresponding spring. Differential Pressure Indicators with integral electronic contacts are provided with two switches which can be independently used either as switching contact or alarm contact. At 75% and at 100% of the present differential pressure threshold value, the contacts of the reed switches are activated magnetically. 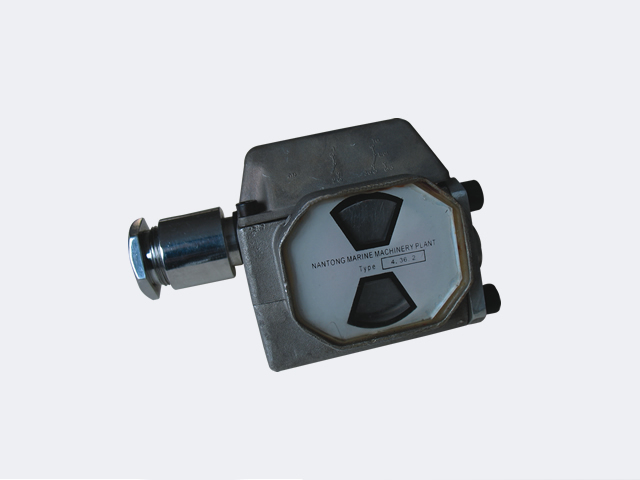 The housing of the Differential Pressure Indicator is made of coated diecast aluminium and for use at an operating pressure of up to 100bar. In case of type 4.46 the internal parts are made of stainless steel and for use at an operating pressure of up to 160 bar. To avoid the danger of electrostatic charge, the cover glass may only be cleaned with a damp cloth. If you have any enquiry about quotation or cooperation,please feel free to email us at Joyce@chinatianen.com or use the following enquiry form. Our sales representative will contact you within 24 hours. Thank you for your interest in our products. Yueqing Tianen Instrument Factory was established in 2000. Tianen is a professional manufacturer of “MAPRESSURE” Series TE2000 cast aluminum differential pressure gauge, series TE5000 differential pressure gauge (It has got national patent of utility model. The no. is ZL 2004 2 0020747.5), series TEA700 Differential Pressure Manometer, Series BUQK Explosion-Proof Ball Float liquid Level Controller, UQK stainless steel ball float level controller, TEK-1 Plastic water level controller, FQS Stainless steel ball float switch, Series UQK-61 magnetic ball float level controller, LKB-01 Differential Pressure Target type Flow Controller, content gage, complete spare parts of float, differential pressure indicator, series HFS flow switch, etc. Yueqing Tianen Instrument Factory was established in 2000. Tianen is a professional manufacturer of “MAPRESSURE” Series TE2000 cast aluminum differential pressure gauge, series TE5000 differential pressure gauge (It has got national patent of utility model. The no. is ZL 2004 2 0020747.5), series TEA700 Differential Pressure Manometer, Series BUQK Explosion-Proof Ball Float liquid Level Controller, UQK stainless steel ball float level controller, TEK-1 Plastic water level controller, FQS Stainless steel ball float switch, Series UQK-61 magnetic ball float level controller, LKB-01 Differential Pressure Target type Flow Controller, content gage, complete spare parts of float, differential pressure indicator, series HFS flow switch, etc. In striving to carry out its goal of "Superior products, reasonable price and perfect service ", Tianen actively adopts advanced management mode, dedicates to innovate and upgrade continuously, motivates employees' potential and professional dedication. Besides, Tianen implements total quality control, advocates producing products just as making art work, strives to excellence. These policies instill strong feeling of “Quality is business life ” in Tianen employees to realize high quality and zero defect and provide attractive quality products prime service for its customers. ​Copyright © YUEQING TIANEN INSTRUMENT FACTORY All Rights Reserved.